NOAA’s Joint Polar Satellite System-1 spacecraft and a host of small satellites known as CubeSats are beginning their missions following this morning’s successful launch aboard a United Launch Alliance Delta II rocket. The on-time liftoff occurred at 1:47:36 a.m. PST (4:47:36 EST) from Space Launch Complex 2 at Vandenberg Air Force Base in California. JPSS-1 is the first in NOAA’s series of four, next-generation operational environmental satellites designed to circle the Earth in a polar orbit. JPSS represents significant technological and scientific advancements in observations used for severe weather prediction and environmental monitoring. This data is used by NOAA’s National Weather Service for numerical forecast models, ultimately helping emergency managers make timely decisions on life-saving early warnings and evacuations. JPSS-1 was Ball Aerospace and Technologies Corp. of Boulder, Colorado. “The nation has another wonderful weather asset in space,” Baez said. This concludes live coverage of the countdown and launch of JPSS-1, but you can keep up with the mission at https://www.nesdis.noaa.gov/jpss-1. All CubeSats have been deployed! P-POD 1 released EagleSat-1, RadFXSat and MakerSat-0; Buccaneer deployed from P-POD 2; and MiRaTA deployed from P-POD 3. The CubeSats all are flying solo to begin their missions. The three P-PODs mounted to the Delta II second stage will be deployed one by one, one minute and 40 seconds apart. 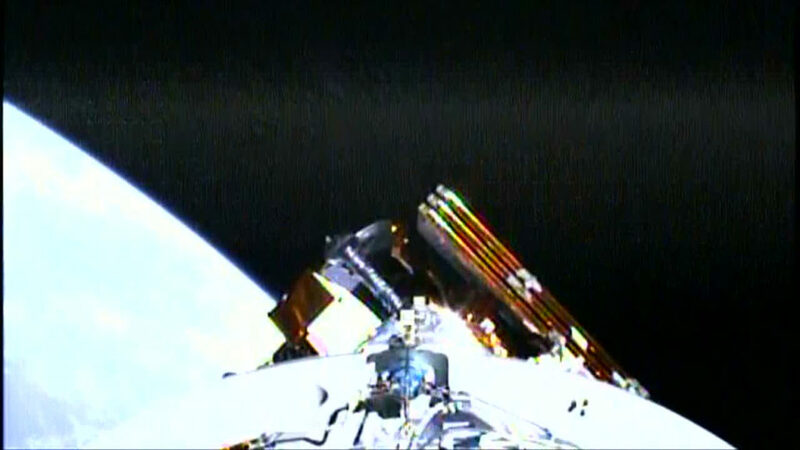 Managers have confirmed a successful solar array deployment for JPSS-1. Flying 440 nautical miles over the Indian Ocean, NOAA’s Joint Polar Satellite System-1 spacecraft has separated from the second stage of the United Launch Alliance Delta II rocket that delivered it to orbit this morning. 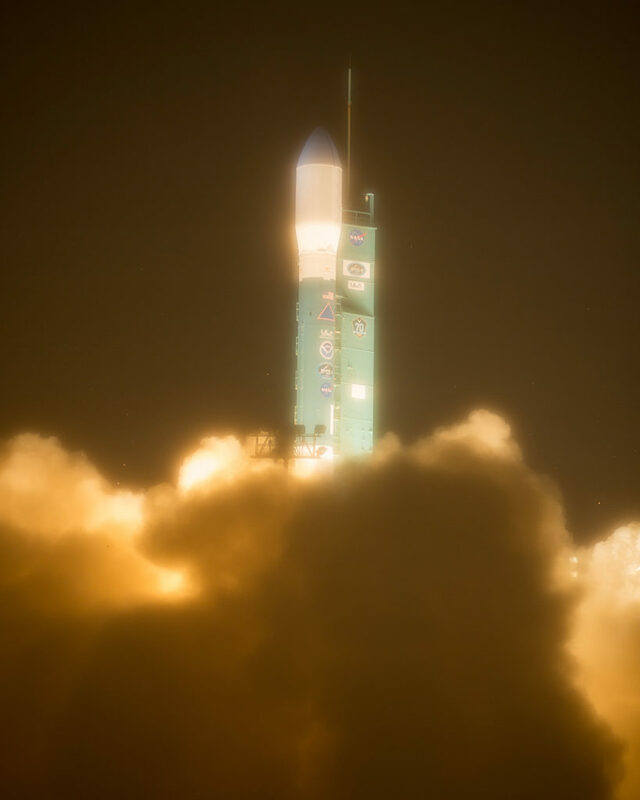 The next major milestone will be the third burn of the Delta II second stage – a quick burn lasting about 18 seconds – to prepare for deployment of the P-PODs, releasing the five CubeSats. 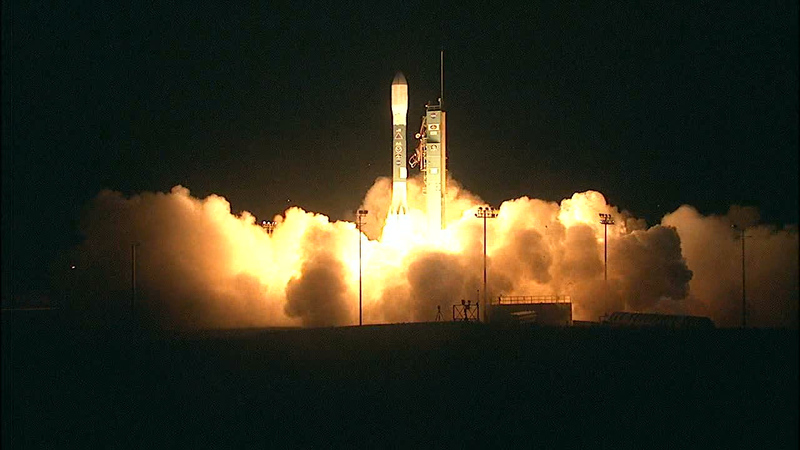 The Delta II rocket’s second-stage engine has finished its second burn. Stand by for JPSS-1 spacecraft separation about six minutes from now. The end of coast phase is coming up at 2:38 a.m. EST (5:38 a.m. PST) with the second of three burns by second-stage engine. It will be a quick burn lasting less than half a minute. 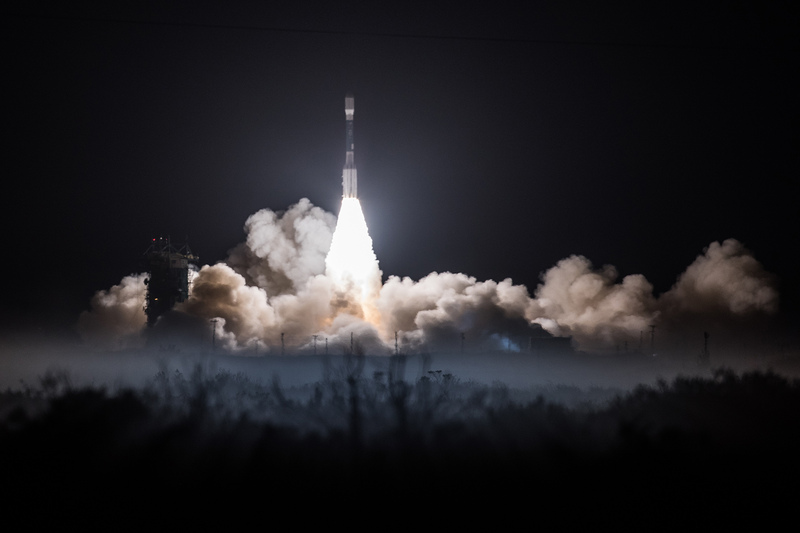 NOAA’s Joint Polar Satellite System-1 launched aboard a United Launch Alliance Delta II rocket at 1:47 a.m. PST (4:47 a.m. EST) from Vandenberg Air Force Base in California. The flight has proceeded smoothly and at this time, the vehicle is in a coast phase. Here’s a look back at liftoff captured from NASA TV. 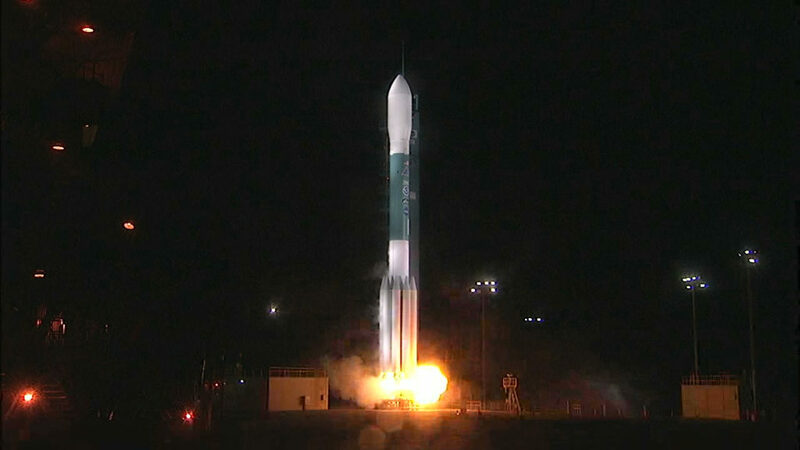 The Delta II rocket’s second-stage engine has cut off, finishing its first burn. This marks the beginning of a coast phase lasting just over 40 minutes. The engine will reignite for its second burn at 2:38 a.m. PST (5:38 a.m. EST). Main engine cutoff occurred on time, the first and second stages separated as planned and the second-stage engine has started its first burn. The payload fairing that protected the JPSS-1 satellite during the first minutes of ascent has jettisoned as expected. Booster ignition and liftoff! NOAA’s Joint Polar Satellite System-1 spacecraft is on its way into polar orbit aboard a United Launch Alliance Delta II rocket. The vehicle is rising up and away from Space Launch Complex 2, its light piercing the darkened skies over California’s Vandenberg Air Force Base.